Today’s a good day to upgrade your keyboard from that painfully cheap clacker that came bundled with your computer. 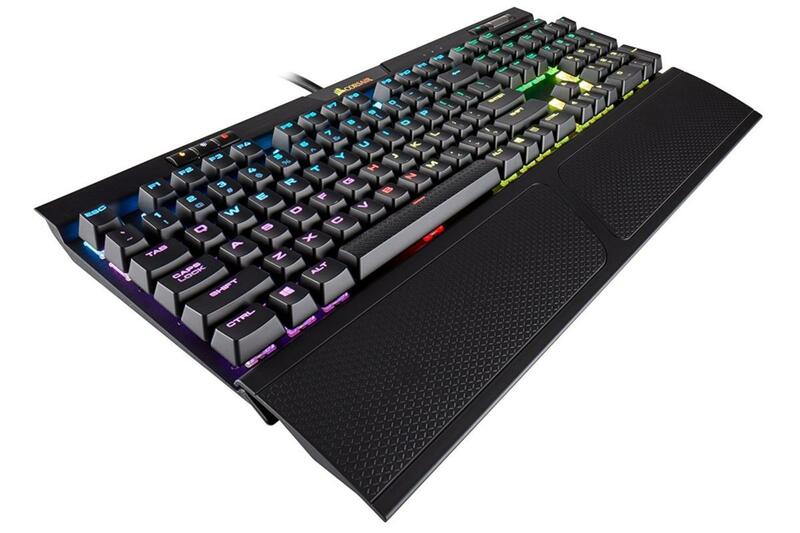 Amazon is selling Corsair’s superb K70 RGB Mk.2 mechanical keyboard for $100 today. That’s the all-time low for this device, and about $21 off the more recent price of $120—although this keyboard often sells for as much as $160. It’s not clear when Amazon’s sale price ends, but I wouldn’t count on it lasting much longer than a few days. This version of the Corsair K70 features a detachable wrist rest and Cherry MX Brown switches. These switches are known for having the same responsiveness as MX Blue switches, but without the loud clickety-clack typewriter-like sound. The keyboard also features USB passthrough for connecting peripherals and media controls, located just above the number pad. It packs 8MB of onboard storage for up to three stored profiles, per-key RGB backlighting, and Corsair iCUE compatibility. This is not the low profile version of the K70 MK.2 that we reviewed in December. Instead, it’s the standard desktop version and an iteration of the original K70 that we reviewed in late 2014—with middling results. Since then, however, Corsair really turned the K70 around, transforming a mechanical keyboard that suffered from RGB light leakage and unintuitive software into one of the better options available. At $99, the modern incarnation is well worth your money.